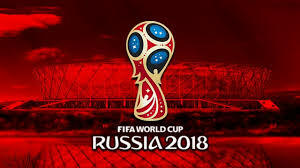 When I told family and friends that I was going to Russia for the World Cup the responses were generally backed be fear and concern. BBC TV programs and documentaries were shown highlighting the dangers to English fans who might travel. A well-trained army of Russian hooligans lie in wait for the unsuspecting fan. Then there was the fall-out from the nerve agent poisonings. We weren’t going to be welcome in Russia. So, what about reality? What was it like? Well, firstly English fans were greatly outnumbered by most other nationalities there. The scare stories certainly had an effect. What we found, especially in Moscow, was a people that had truly embraced the World Cup and all that came with it. There were groups from each nation singing and dancing, celebrating their own teams and just enjoying being there. Helped by the success of their team, the Russian people celebrated also. Not only their own team, but in the Stadia and at fan parks Russians would pick a team to support and cheer them on with flags and faces painted. I was so glad to be part of it and not to have listened to the various scare stories. So, can we believe what we hear on the news, or read in the papers? Whether it is the BBC, RT, CNN, Fox News, the Telegraph or Guardian, it seems everyone has an angle, a narrative they wish to push. We all want the truth, don’t we? It seems maybe we don’t. More and more, we follow those news feeds that back up our view, give credence to our pre-existing ideas about what is happening out there. The opposition reaction to things like Brexit and the US election seems to have more polarised opinion. Political views seem to be condensed into binary views. People seek news that justifies their own view, truths maybe rejected if they don’t fit. Who are you going to believe? Do you just cling to the same ideas that backup and justify your way of life? Or perhaps you might just take a moment to consider, not what is comfortable, but what is truth. I wanted to experience Russia so I put off what others said and found out for myself. To find out about God, put off what others may say. Come to the one that knows. Jesus died and was raised to life again. He knows what life is all about. His resurrection shows us there is a God, it shows us there is a way of living that isn’t all about us. Don’t reject it because it doesn’t fit your narrative. Embrace it and all that goes with it.